Lawrence Dewey Sexson, age 97, of Farnam passed away on Sunday, December 2, 2018 at Cambridge Manor. He was born October 6, 1921 in a farmhouse two miles west of McCook to Perl and Nellie (Borland) Sexson. He was the oldest of six children. 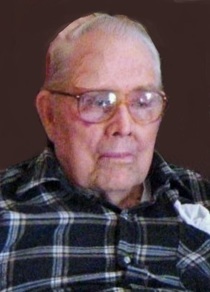 He went to grade school in Red Willow County and graduated from Palisade High School in 1939. He married Thelma Gauger on October 19, 1958 at Mount Zion Church southwest of Wauneta, Nebraska. To this union three wonderful children were born, a son, Rick, and two daughters, Kathy and Terri. He served as a school board member, and as an alternate on the Horrell Precinct ASCS Committee. He also belonged to the Wauneta Saddle Club. He farmed and raised livestock until his retirement. He believed that if you took care of the land and livestock, they would take care of you. He was fond of horses and in his late teens he spent most of his leisure time working with horses. His pride and joy was a horse named Sandy that he raised, broke to ride and trained to perform stunts. He had a horse as long as he could ride. He was preceded in death by parents; siblings, Raymond, Vernon (Judy) Sexson, Darline (Kenneth) Wicke and Virginia (Ralph) Faye. He was also preceded in death by a sister-in-law, Dorothy Sexson. He is survived by his loving wife of 60 years, Thelma; brother, Arnold Sexson of Ogallala; brother-in-law, Howard Gauger of Wauneta; children, Rick (Kelley) Sexson of Wellfleet, Kathy (Cameron) Martin of McCook, and Terri (Mike) Sullivan of Wallace; grandchildren, Justin Sexson of Wellfleet, Jessica (Caleb) Nutt of Farnam, Shawn (Kim) Sullivan of Wallace, Heather (Brad) Slaymaker of Atkinson, and Jared Sullivan of Wallace; nine great-grandchildren and numerous nieces and nephews. Memorial services will be held Saturday, December 8, 2018 at 2:00 p.m. at the Stockville Congregational Church with Pastor Neil Kloppenborg officiating. A private family inurnment will take place at Wauneta Cemetery at a future date. Memorials may be left in Lawrence’s name at the Lockenour-Jones Mortuary of Cambridge. Friends may leave on-line condolences at lockenour.com. Lockenour-Jones Mortuary entrusted with the arrangements.